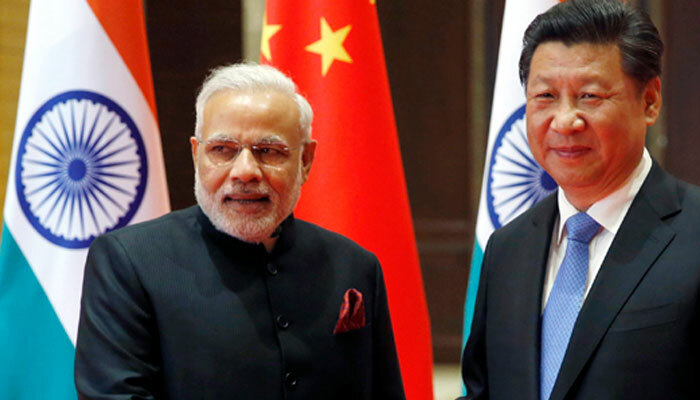 (TibetanReview.net, Jun11, 2018) – Meeting on the sidelines of the Shanghai Cooperation Organization (SCO) summit in the Chinese city of Qingdao on Jun 9, Indian Prime Minister Narendra Modi and Chinese President Xi Jinping signed two agreements in a move to increase cooperation between their two countries. Under those two deals, China will share hydrological data on the Brahmaputra river and favourably amend certain requirements on Indian exports to it of non-Basmati rice variety. However, the new bonhomie between the two countries can go only so far, for at the SCO summit itself, India was the only country which refused to endorse China’s globally ambitious OBOR (One Belt One Road) initiative. “Our talks will add further vigour to the India-China friendship,” Modi said on Twitter, as the two countries set out to reset troubled ties after a tense 73-day border standoff last year. The standoff had led to China failing to share Brahmaputra (Yarlung Tsangpo in Tibet) hydrological data with India and closing the Nathu-la route to Mount Kailash for Indian pilgrims. India’s trade gap with China has widened to $51 billion, a nine-fold increase over the past decade, noted Reuters Jun 9. It has been seeking greater access to the world’s second-largest economy for products such as rice, rapeseed, soybeans and sugar, but with little or no success. The change in food as well as animal and plant hygiene standards agreed to by Xi is expected to enable India to easily export more than one million tonnes of rice every year, the report said, citing a New Delhi based dealer with a global trading firm. In this connection, a 2006 Protocol on Phyto-sanitary Requirements for Exporting Rice from India to China will be amended to include the export of non-Basmati varieties of rice as well from India. India is the world’s largest rice exporter but sells a minuscule amount to China, which imports nearly five million tonnes annually for domestic consumption, noted indianexpress.com Jun 9. China has been stating that rice from India did not meet its “phyto-sanitary” concerns. India said last year that China had reneged on an agreement to share hydrological data, or scientific information on the movement, distribution and quality of water for the Brahmaputra river. China had claimed renovation of the data collection station as the reason for not being able to provide the data, but it turned out that it was supplying the same data to Bangladesh. Under the new agreement China will provide hydrological data in flood season from May 15 to Oct 15 every year. At the SCO summit itself, however, India was the only country which refused to endorse China’s OBOR initiative. That is because the CPEC (China Pakistan Economic Corridor), which is part of OBOR, passes through part of Kashmir claimed by India but which remains under Pakistan’s occupation rule. The other SCO countries are Russia, Tajikistan, Kyrgyzstan and Uzbekistan. India, along with Pakistan, became full members during the 2017 summit in Kazakhstan. The SCO was launched in 2001 mainly to combat radical Islam and other security concerns across Central Asia. Despite the difference over OBOR, and indeed on other intractable issues such as China’s all-weather friendship with Pakistan, with its grave security implications for India, relationship between two countries appear to be on an upswing with President Xi accepting Prime Minister Modi’s invitation to visit India for an informal summit in 2019.